Product prices and availability are accurate as of 2019-04-19 10:41:36 BST and are subject to change. Any price and availability information displayed on http://www.amazon.com/ at the time of purchase will apply to the purchase of this product. This is a straight-forward, visual guide to fonts and typography. Throughout its pages, you learn visually how different fonts can drastically change how your writing feels when printed on a page or the web. Starting from a brief history of typography, it quickly progresses through typefaces, categories of type families, then to headlines, on up to line spacing (called leading), kerning, and other industry terms you need to know in order to talk intelligently with others in the field of graphic design. With the information provided in this book, you'll be better able to tell what's wrong with a printed page instead of only knowing that, "something's not quite right." A great addition to your grapic design library. Once upon a time, only typesetters needed to know about kerning, leading, ligatures, and hanging punctuation. Today, however, most of us work on computers, with access to hundreds of fonts, and weâ? ?d all like our letters, reports and other documents to look as good Â? and as readable Â? as possible. 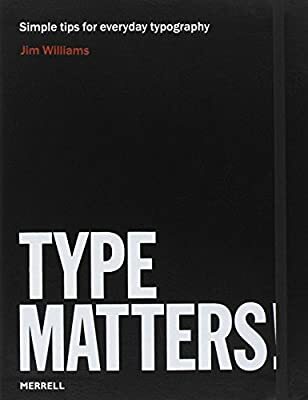 But what does all the confusing terminology about ink traps, letter spacing, and visual centring mean, and what are the rules for good typography? 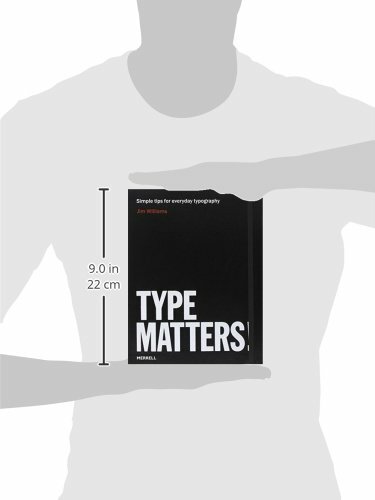 Type Matters! 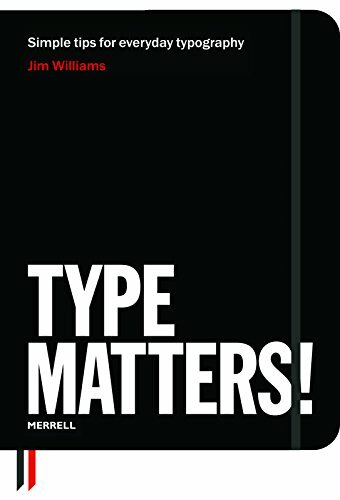 is a book of tips for everyday use, for all users of typography, from students and professionals to anyone who does any layout design on a computer. 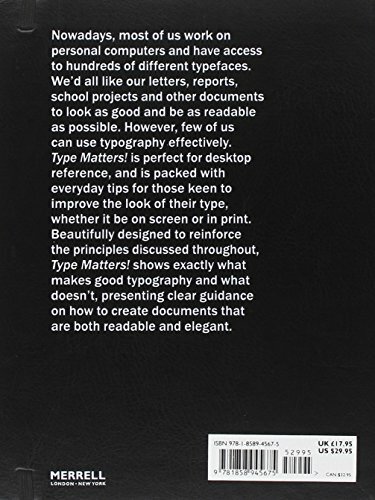 The book is arranged into three chapters: an introduction to the basics of typography; headline and display type; and setting text. Within each chapter there are sections devoted to particular principles or problems, such as selecting the right typeface, leading, and the treatment of numbers. Examples throughout show precisely what makes good typography Â? and, crucially, what doesnâ??t. Authoritatively written and designed by a practitioner and teacher of typography, Type Matters! has a beautifully clear layout that reinforces the principles discussed throughout.